I just recently bought cherry mobile P1 (read my cherry mobile p1 review here). But it just surprised me earlier today when I got pass by a weird looking cherry mobile P1. 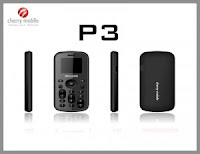 I think cherry mobile knew that their P1 model is a hit, so they created an upgraded version of their P1 to P3, but of course there's their P2 but that's a different talk. Anyway, what does this P3 had? Here are some of the basic functions and features this cherry mobile P3 had, take a look. It's a little funny that they put a calculator on this, since P1 doesn't have a calculator on it even though it looks like one. Also, this model having a flashlight is a major edge on its level, because that would add up to its practicality. "The P3 model is perfect for tweens, teens or just about anyone who prefers the no-frills mobile phone with only the most essential functions such as calling and texting over more complicated and possibly more expensive units," said Cherry Mobile marketing head Agnes Conopio. If you really want the basic functionality of a mobile phone, call, texting, alarm, with a plus plus of colored screen, flashlight, fm band radio and an MDAS calculator, then you can be more than happy having this on you pocket. But what I personally like with this model is the flashlight functionality. Also, the FM radio will also makes it looks sophisticated. I think seeing a phone with a headset on it is a big plus factor, people may even mistakenly think your playing an mp3 with it, isn't it? Now that was a thought, just wonder if they can put an mp3 player on a low priced phones like this. Anyway, this thin, easy-to-pocket mobile phone comes in six fun colors — playful pink, funky yellow, trendy purple, chic red, perky green, and mod black. Price here on our city is ridiculously Php. 1,300 . Though the saleslady told me that I can get it for 1,250 , which made me think that I can get it more with 1,200. Knowing my ability to tawaran, heheee..
maybe u should adjust the contrast level. great buy! 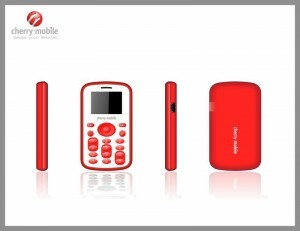 can u still access the menus from each network, 'Globe Svcs+' or 'Smart Menu' using this phone? I already have P1 so I didn't bother buying one because I don't need another extra secondary phone. But my friend owned one and I saw that it has a six rows display. @Do Re Mi - of course you can po! does anyone know where the service center of cherry mobile is, particularly here in Bulacan area? thanks. my cherry mobile cellphone keypad is not working..
it is all started every time i opened it..where can i go to repair it?? im in makati...where is the nearest? Any cellphone repair shop can fix your phone. bakit po ngssending failed ung s p3 ko paano po b maayos yun tnx . May bluetooth ba itong phone? ano yung size o dimensions? pwede po ba itong palitan ng housing??? You posted on your features that it has a flashlight. How come mine doesn't have? First, are you sure it's really P3? And mine really has a flash light on it, promise. i bought P3 for only 799... promo price i think, cute at lightweight. na-appreciate nang 8 yr old boy ko. magkano na po ba ung lates price nya ngaung 2012??? gusto ko kc bumili!